An adaptive 3D serious game, QuaSim for imparting to learners the fundamental concepts of quantum cryptography and their applications in designing computer security protocols is described. QuaSim emulates an often used instructional model of practice exercises followed by timed-tests (practice-timed-test) in a serious game setting by automatically designing timed-tests guided by models learned from data about the performance of players in practice exercises. QuaSim also automatically selects next practice exercises based on player performance in previous exercises. The game was played by 150 students and the results are highly encouraging. 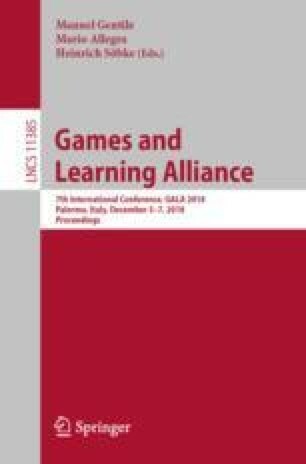 They show that the model learned by the game is able to select next practice exercises to improve player performance in the timed tests and is able to generate meaningful timed-tests.